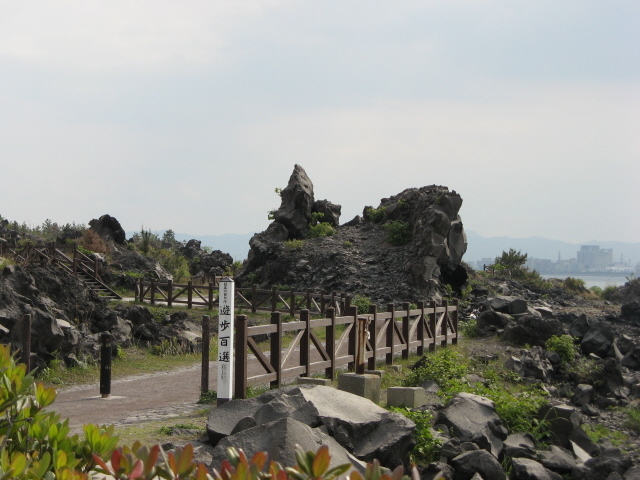 One of Japan's most active volcanoes – right opposite Kagoshima, the southernmost city on the southern mainland island of Kyushu. 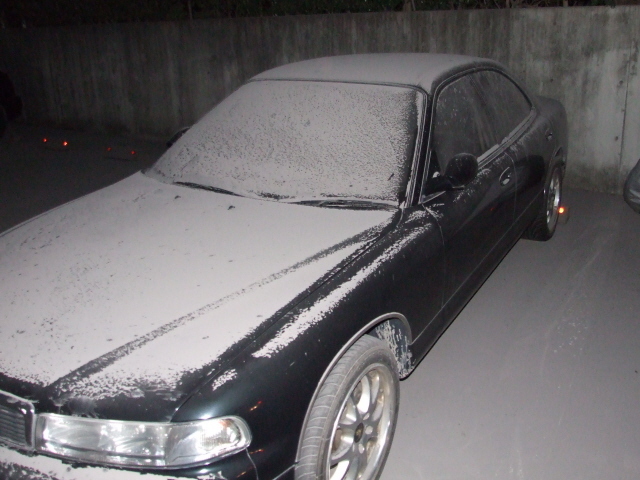 Sakurajima regularly erupts, usually not with big lava flows, but with ash explosions which frequently cover the city in a blanket of volcanic ash – as was the case when I visited in April 2009 just two days after an eruption. In between eruptions (the volcano is being very closely monitored) bus tours go round the volcanic ex-island – it used to be just an island until the massive 1914 lava eruptions which connected it to the mainland on the other side of the bay. 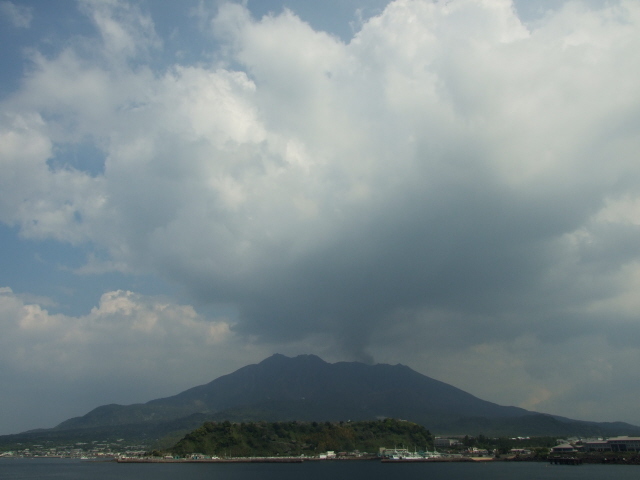 From Kagoshima regular ferries get you across to the foot of the volcano (in 2009 it cost 150 Yen, each way). There's a worthwhile visitor centre: on the shore ca. 10 minutes walk east of the ferry jetty. 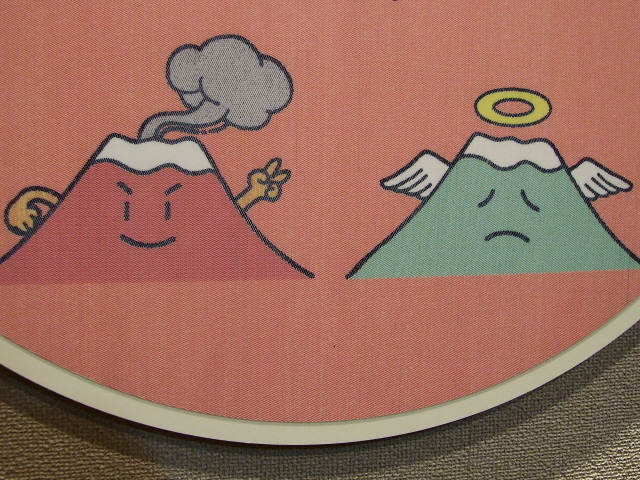 This sports an enjoyable little exhibition about the volcano (open Tuesday to Sunday 9 a.m. to 5 p.m.). Trails lead through old lava fields and you can visit the volcano observatory closest to the crater (though only about a third of the way up – any closer would be too dangerous). A particularly marketed site on the far side of the volcano is a half-buried Torii gate which was covered by an eruption so that only the top metre or so pokes out of the black ground. It's Reachable only on one of the coach excursions of the ex-island that are on offer to tourists (and typically also include the observatory). "Half buried" sounds more dramatic than it looks, though. 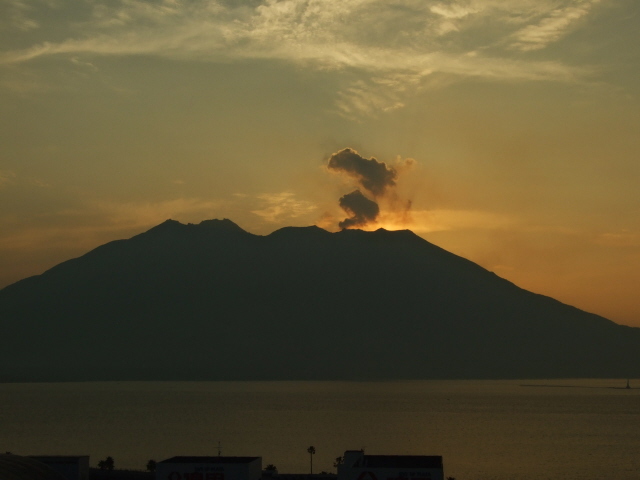 In other words, it's not quite Pompeii … even though Kagoshima is actually twinned with Naples in Italy, presumably precisely for its similar volcanic location. 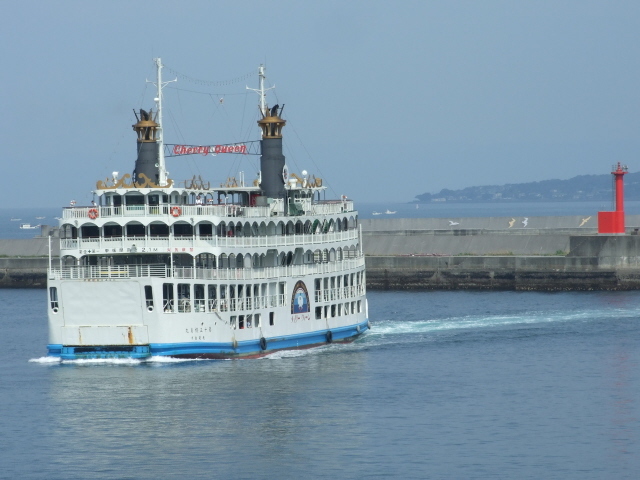 Anyway, it's certainly worth making at least the ferry trip across from Kagoshima when staying in the city. The backdrop of the volcano's massive silhouette, usually crowned with a plume of smoke/volcanic gases billowing from its active crater, dominates the city, visually as well as spiritually (even literally): it's featured on all manner of local products from sochu spirit to tea or confectioneries. 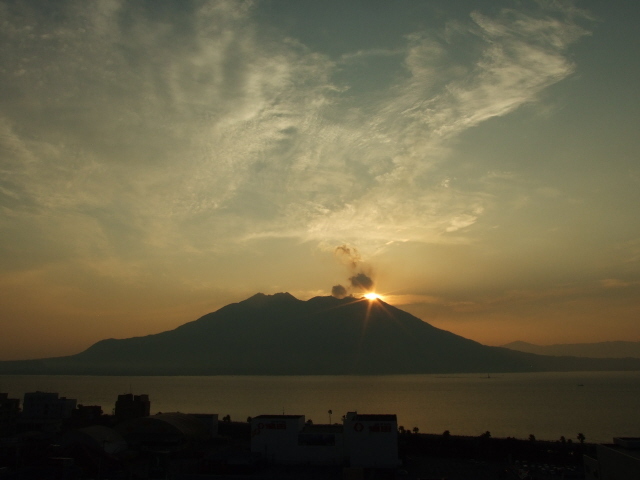 Kagoshima itself is an enjoyable enough city in its own right too and well worth a stopover. It's especially interesting in culinary terms, featuring several specialities not regularly found elsewhere in Japan. 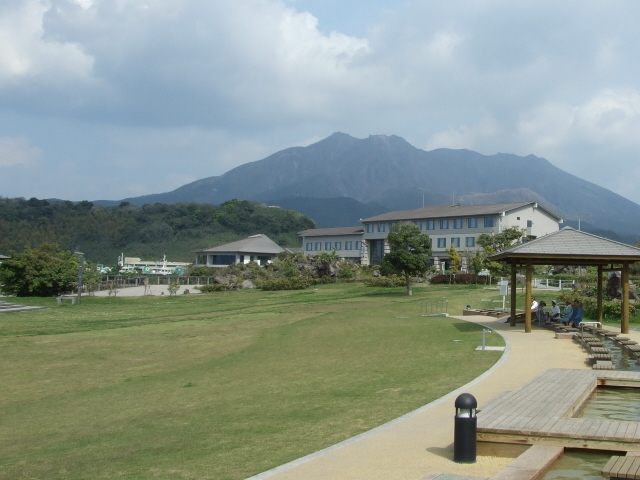 Some of the decent hotels in Kagoshima make good use of the backdrop of the volcano, e.g. all of the Sun Royal Hotel's rooms face the bay and the volcano. The sight of the sun rising directly from behind the volcano is indeed quite something (see the photos). 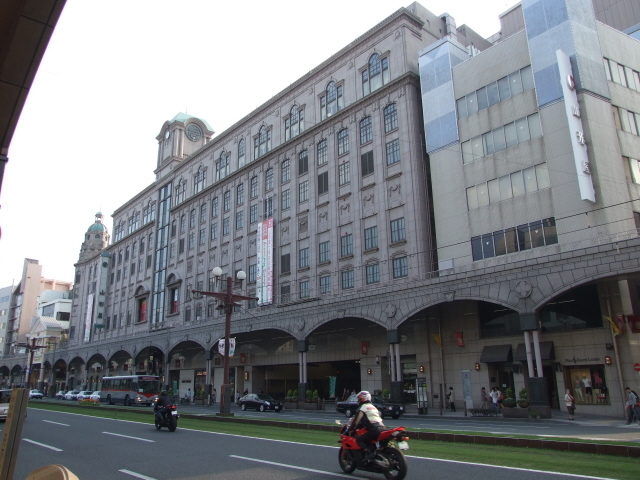 The city is easily reached by train, primarily from Fukuoka's transport hub of Hakata station, in northern Kyushu, where the Honshu Shinkansen (bullet train) lines from Tokyo/Osaka used to end when I was there in 2009. Meanwhile the extension of the Kyushu Shinkansen line all the way south should have been completed, making access to Kagoshima even easier and quicker. For the dark tourist Kagoshima is worth a visit as it is also the base for trips to Chiran and its Kamikaze museum. Location: in the south of Japan, the bay right opposite Kagoshima, Kyushu, a couple of miles to the city's east.